Small children learn the language through games, songs and movements, whereas elder children start to ask themselves about word meaning. That is why we put a big emphasis on children courses at our school: to choose the right approach. The course is composed of 25 lessons of 60 minutes, once per week, between October and April (except during school holidays). It is suitable for children between 3 and 7 years of age. 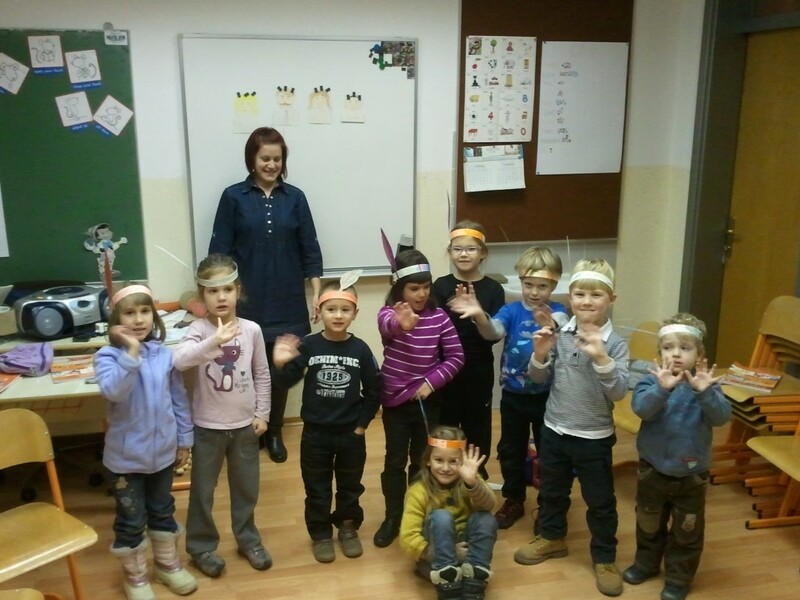 Children learn the language through games, dance, songs and laughter. Do not forget that children until 7 years of age learn the most that is why only taught language is spoken during playing workshops. 10 thematic classes of 60 minutes (ex. Olympic games, treasure catch, talent show, farm life, in the kitchen – cookie baking, on the beach, shopping…). We organize workshops in English, Italian, French, Spanish, German etc. Start: January or April. For children between 7 and 10 years of age, courses are composed of 50 scholastic hours and are held once per week for 2 scholastic hours. There are two teachers and only taught language is spoken in the class. Such courses are a perfect start for teenager courses. We organize also Spanish, German, Russian and French language courses. Groups of students study their school material (1st to 4th class of elementary school). Work methods and the teacher’s personal approach lead to better marks. Teenagers can also decide to follow individual classes or classes in pairs, where school material is dealt with in an even more detailed way. Courses in pairs or triplets are a perfect choice for final high school exam preparation. Children are put into groups according to their age and level of knowledge.